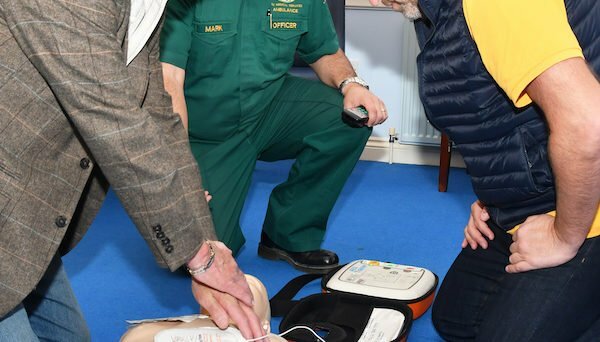 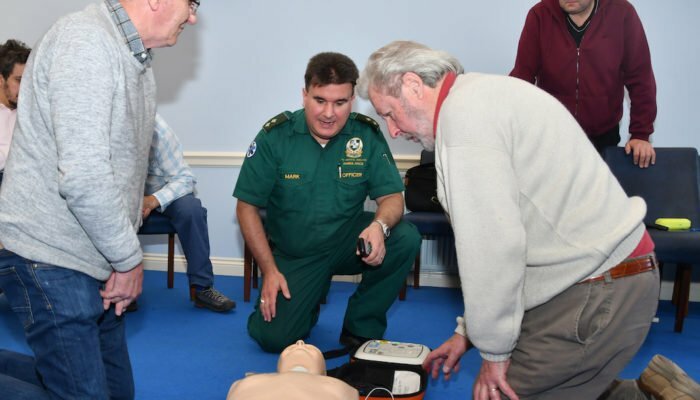 W Bro Mark Davis ran a special event of defibrillator training on Saturday 30th March. 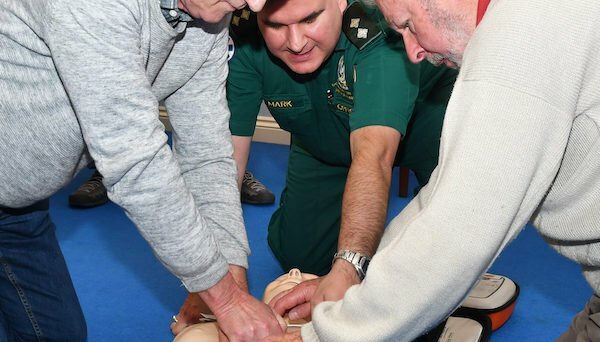 Mark, who is the current Master of Old Sunning Lodge is a qualified and registered First Aid and Medical Trainer and Assessor. 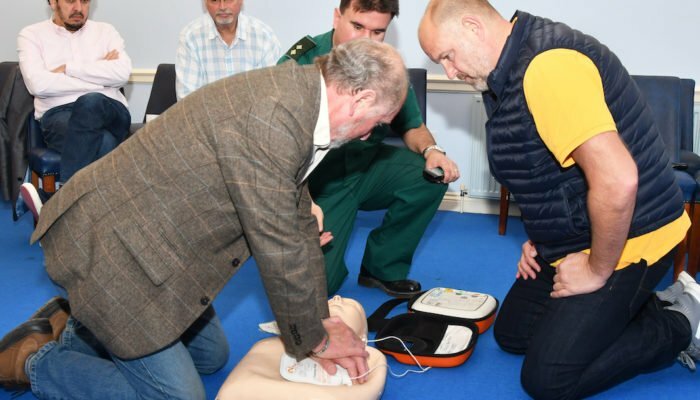 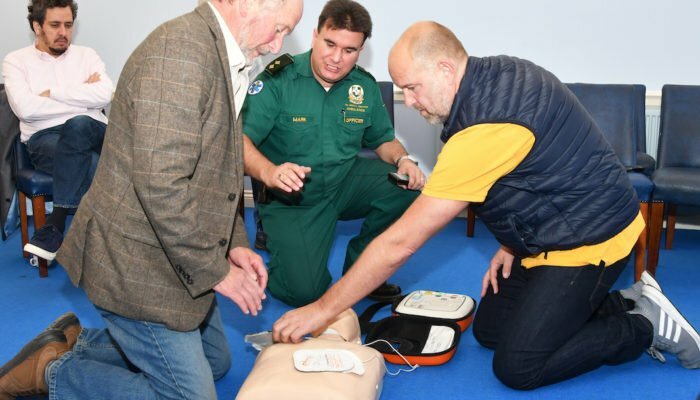 Mark Davis, lead First Aid Trainer of ABC Medical Services (Reading) Ltd, explains the simplicities of using a Defribillator to Bill Turnbull and Geoff Spence, both from Sandhurst Lodge. 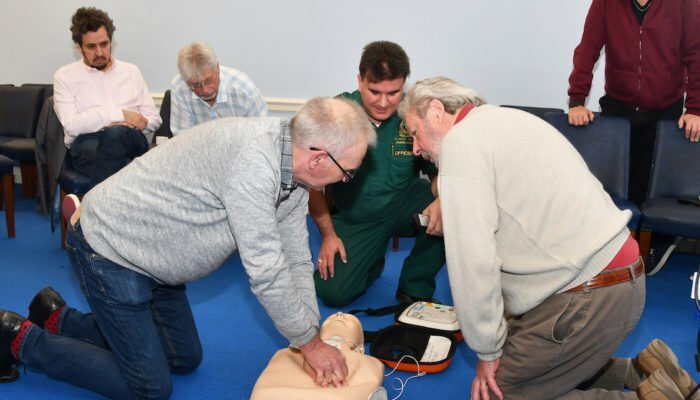 Friends of Lord Harris Court, in conjunction with Hennerton Lodge, and Rushmoor Male Voice Choir Concert.